Our Deaf Awareness and Communication Training Course will be taught by a Signature registered trainer. Our training will give you an insight into the deaf world and will use examples drawn from his own experience. This will highlight the barriers that the deaf and those with hearing loss face. Our deaf awareness training course follows the guidelines from Signature. We offer an in-house ESL Services certificate or the possibility of a Signature certificate (subject to an exam). Why we provide a Deaf Awareness and Communication Training Course? In the UK one in six people have some degree of hearing loss. That’s about 10 million people. It is also estimated that there are around 250,000 people who are deaf-blind or have sensory impairments. This means that you are likely to come into daily contact with people who are deaf or deaf-blind. The British Sign Language (Scotland) 2015 Act has brought more focus to the need for organisations to provide accessibility for staff members and customers for whom British Sign Language is their first or preferred language. What happens after our Deaf Awareness and Communication Training Course? British Sign Language (BSL) is the preferred language of over 87,000 Deaf people in the UK for whom English may be a second or third language (A total of 151,000 individuals in the UK who can use BSL – this figure does not include professional BSL users, Interpreters, Translators, etc unless they use BSL at home). Sign languages are fully functional and expressive languages; at the same time they differ profoundly from spoken languages. BSL is a visual-gestural language with a distinctive grammar using hand-shapes, facial expressions, gestures and body language to convey meaning. I was given this website as somewhere I could get a crutch that looked somewhat different to the NHS ones. As a woman it meant a lot to me to have something a bit more elegant. (My new crutch is BLACK) I was having trouble with the website payment system so phoned the company where I spoke to the lovely Bill and his colleague. In no time at all I had purchased the crutch and it was delivered to me within a couple of days. Thank you gentlemen. I would advise anyone looking for good service to use this firm. Had ordered the wrong item online in error, something I only realised when it was delivered. They organised delivery of the correct item and collection of the wrong item the next day and followed up to ensure all was now OK. Full marks for the way they handled what was my error. Will most definitely use them again. Placed order, within an hour I received a phone call from Bill advising of a delay in posting & reason why. Unexpected to receive any form of update to explain a delay, far less a phone call. Very much appreciated, left a positive impression of the company. The additional benefit was the chance to talk to Bill and understand the ethos of his business. As a disabled person himself, he understood a potential issue with the non-delivery of the item, fortunately a slight delay was not an issue on this occasion. The company is run by a person who understands the needs of disabled people, being disabled himself. Bill offers products and aids for disabled people at as low a cost as possible. I thoroughly recommend this company and will pass on a recommendation to the Specialist Mobility & Rehabilitation Centre I attend and anyone else who may benefit from their services & products. UPDATE: Sent order through yesterday 31st July 2018. Despite phone call yesterday from supplier advising delay, items received needing signature 11:30am 1st August 2018. Appears Bill sourced from a supplier nearby and products received today. Service absolutely above and beyond; that you would probably only get from someone in a similar situation to yourself who understands the needs of a disabled person. Bill, sincere thanks again for the phone call yesterday and post that call. Absolutely first rate and, as initial review, I will be recommending your services whenever possible and hope this unsolicitated impartial review encourages others to use your company with confidence. 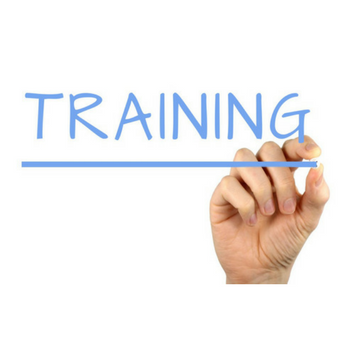 ESL Service have provided West Lothian Leisure with a bespoke DET training course, the information is current and up to date, the trainer is very good at getting the group fully engaged and for participants to understand the importance of DET in the workplace.